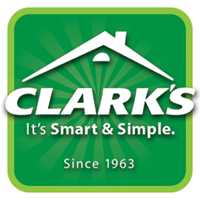 Clark's has an experienced and qualified staff dedicated to serving South Carolina with expertise in controlling termite and pest activity. We have an entomologist on staff with more than twenty years of experience in the structural pest control industry. All of our employees must pass a background check. Our technicians undergo thorough and continuous training to ensure that they are equipped with the latest knowledge and technical expertise to do the job right. The Clark's team is committed to providing you with the safest and best professional service because your satisfaction is our goal. We recently moved to South Carolina from Washington State. This is our first experience woth a termite bond. So far, we see no evidence of termites. I was totally happy with my service with Clark’s. Great service by our technician! Everything was great. Your staff are very professional and good at what they do. The technician has been great every time. I did not like the company sending an appointment letter in the mail for a day and time to come out without calling me be for scheduling. I had to call back to reschedule. It was hard to reschedule for a convenient day and time. That is not the way to conduct business. Don't let it happen again or I will switch to a different company. The yard treatment application went great and would suggest other homeowners use this service. I'm excited about our next treatment! Thanks Clark's Lawn Services! I agent was excellent and answered all my questions. I was a little concerned when I saw a large spider right outside my front door today I wll continue to watch and call if spiders are frequent. The staff coming to my house to check is wry professional and polite. Professional, reasonable price, & thorough. Many thanks & see you next year! Great company. The are extremely cautious and reapectfull of my time. Highly recommend them to all my friends. Ross was very nice & thorough with our questions & his answers. Thank you so much for great service. We used Clark's before we moved, and when we decided to build continued giving them our business. They pre-treated our new house during construction, and we currently have a termite bond with them. When the ground was disturbed from construction next door, we had ants come in our home. I called Clark's, and the ants were gone the same day of treatment. The technician was great. We have no reason to do business elsewhere. The renewal of our termite guarantee was very smooth. We received a reminder well in advance. The technition, Terry, was very pleasant and efficient. Did a great job, and information he gave was very helpful. Clark’s does a complete job of dusting out webs first then applying the treatment to prevent future insect problems. Bravo! Super great techs and very personal! Great service, polite and we had a nice conversation. Great work and in a timely fashion. Great people, very helpful. I asked for ASAP treatment and they managed to come a day before it was scheduled. Good job. They do their job great! very pleased with the technician who did the walk around and the inspection. Technicians are always friendly. They answer any questions you may have. The service is thorough. I would highly recommend this company.